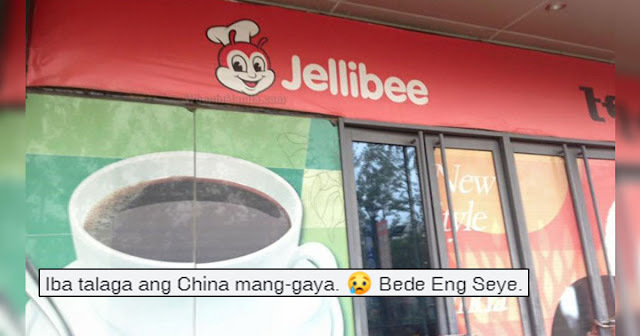 Home / Trending / Viral / world / Hindi mapigilang matawa ng Pilipinong ito sa nahanap na pekeng Jollibee sa China! Hindi mapigilang matawa ng Pilipinong ito sa nahanap na pekeng Jollibee sa China! Jollibee is a famous fast food chain that originated in the Philippines. Known for it's signature crispylicious, juicyliscious, Chickenjoy, nobody in the country isn't aware of this red, smiling bee. That's why when Dennis T. saw the familiar looking bee, he couldn't help but do a double take when the name beside the bee was somehow different. That's right, instead of the name Jollibee, he saw that the restaurant's name was JELLIBEE-- a clear alteration to the Filipino fast food restaurant. Dennis T. saw the restaurant in Wanda Mall, Yinchuan City in the province of Ningxia in China. According to Dennis, it was "in the middle of nowhere" near inner Mongolia. 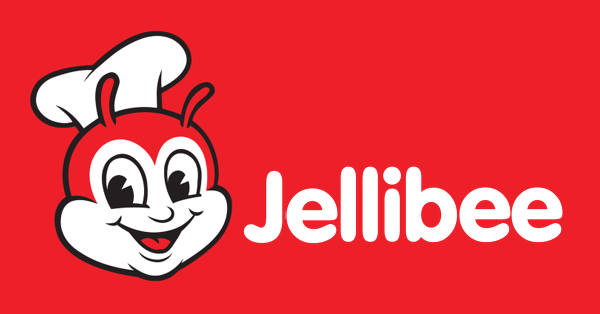 One might think that Jellibee was a rip off of Jollibee, but the photographer said that it wasn't the case. Such a phenomenon is actually normal in China. Jellibee was nothing more than a filler signage for a restaurant establishment in China. Dennis further said that other "rip offs" were from brands like Prada, spelled as "Parda", and Puma spelled as "Pums". Take note that all of these use the original logos for the specific brands, just like Jollibee! The photographer also said that these filler signs were used to denote empty spaces for rent inside malls.